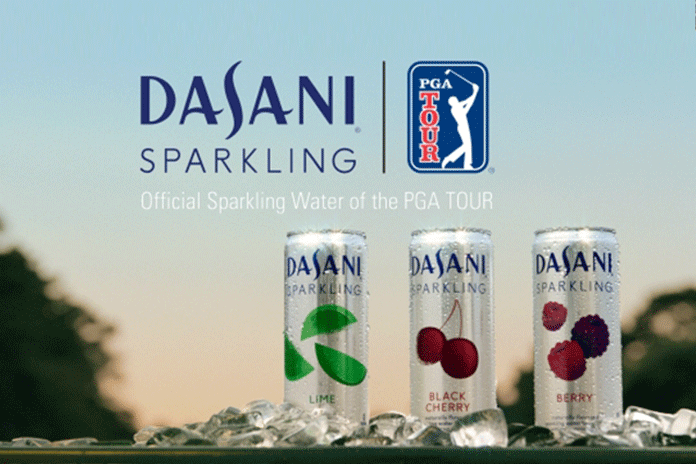 Dasani is kicking off its first sports partnership, as the official sparking water of the PGA Tour, during this week’s championship at Atlanta’s East Lake Golf Club. The Coca-Cola Company brand is promoting the sponsorship with a humorous 60-second video (below) set around East Lake’s water obstacles. A 30-second TV spot version will debut during NBC’s broadcast of the tour championship. Dasani will also be featured in branded seating sections at the first tee and 18thgreen, and in a “Shamrock” cocktail being served at some championship venues. Dasani’s sponsorship expands on Coca-Cola’s longstanding partnership with tour championship, which is the culminating event of the FedExCup Playoffs.